It is almost time for Ethan to start school but before his first day at school his teacher is going to come to our house for a visit. I think this is a fantastic idea as it will really give him a strong connection with her and I'm sure that it will give her a good idea of what he's really like in an atmosphere that he's comfortable in. But I'm still incredibly nervous! 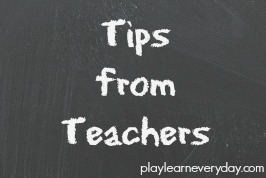 All of the advice from these brilliant teachers really does seem to emphasise that we shouldn't be nervous and the best plan is that have lots of Ethan's favourite toys out so that he's comfortable and shows what he enjoys doing at home. I've also found this really sweet transition booklet to give a child's new teacher on Twinkl. I think it's a really nice idea of something that you can sit down to do together before the teacher comes over so that you can talk about all the conversation topics that they could have with the teacher and it's also something nice for the teacher to take away with a little extra insight into your child's interests. 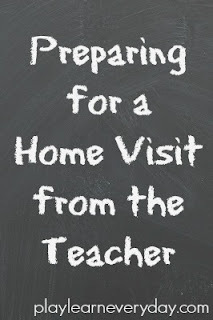 It is all happening so quickly and now it feels like school really is starting soon, but building a good relationship with Ethan's teacher couldn't be more important and we can't wait to have her over for a chat. We actually did run into her one day in the playground as well, and she happened to mention that she likes cakes, so I think we'll be doing a bit of baking the day before too!